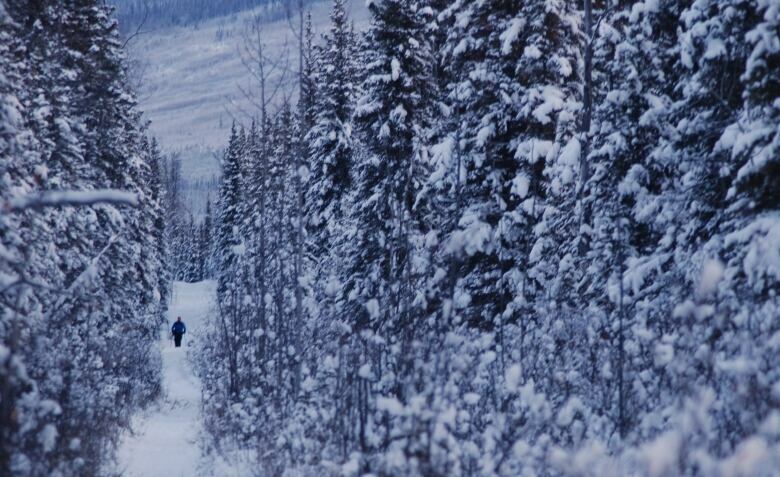 The Yukon Arctic Ultra has reached the stage where competitors are seeing things that aren’t there. “Last night was terrible. So many hallucinations,” said Christof Teuscher on Feb. 8 as he set out from Pelly Crossing toward Dawson City. “Multiple times I saw a tent which I expected was the next station. But of course there was nothing there. And all these monsters in the snow and the trees. It’s fascinating what the mind can do,” he said. “Last night was dark, literally and figuratively. I think if you would have asked me my name I would not have remembered it,” Teuscher said, nevertheless with a smile. He’s competed in the Yukon Arctic Ultra before and said this year’s race is going well. Despite sleep deprivation, he has been managing to pull his sled 16 to 20 hours a day. “This place is a frozen paradise. It’s so different to where I come from and particularly with this sort of race where it’s a solo event, you are out by yourself day and night crossing frozen lakes —I think just that sense of peace and solitude that you have is just a really beautiful thing,” he said. Another competitor still in the race is Ahmad Fathi Junaidi, who said he’s been sleeping only two to three hours per night. “I am just so tired. It’s been tough. The trail seems like it’s going forever,” he said. “It’s taking a toll, especially at the end now. You’ll be seeing all these snow creatures around. You see different things. You snap out of it after a while or you just go to sleep,” he said. “Everyone is supporting me back home. Everyone is following my progress, I need to show them I can get this done,” he said before continuing down the trail toward McCabe Creek. On Feb. 8, the farm’s workshop and garage had been converted to a warming shelter for racers. “Two days ago I stepped out and fell into some overflow,” said Paschke. “I had second boots in my pulk and I’m so glad I made this decision. In Whitehorse I was thinking whether I would have them or not. I decided ‘yes’ and well that’s why I’m still in the race,” she said with a big smile pushing up the blue frost tape across her cheeks.